A new leaked image that’s expected to officially be unveiled when the time comes to sell Avengers: Annihilation merchandise has arrived, and it hints at an established Marvel Cinematic Universe character finally getting a shot to become a superhero. Furthermore, it also adds credence to a theory about what the Avengers will do in the new story. Spoilers ahead! While I can’t exactly tell what’s going on the left side of the image aside from a fully-armored Thanos with a sword being part of the line (or that all of these images appear to be tied with Avengers: Annihilation toys), I can tell you that the ride side of the image features Rocket, Thor, and Captain America in the same kind of uniforms, along with Captain Marvel, Iron Man, and a new hero. The new hero appears to be Rescue, who is actually someone we’ve known in the Marvel Cinematic Universe since the beginning: Pepper Potts, Tony Stark’s romantic interest. A while ago, Gwyneth Paltrow shared an image of herself in motion-capture gear, leading to speculation that she would at least don an older model of Iron Man armor in the same way that she did in Iron Man 3. But with the distinctly purple-and-white color scheme, it looks like Potts is finally getting her own set of armor as opposed to putting on one of her fiancé’s older designs to good use. Interesting uniforms for this Avengers 4 box art. Top right shows the leaked concept art style. Bttm right shows Cap wearing the same style uniform as Rocket and Thor but with his blue helmet. It’s speculated that these new white suits are meant to have Quantum Realm functionality. 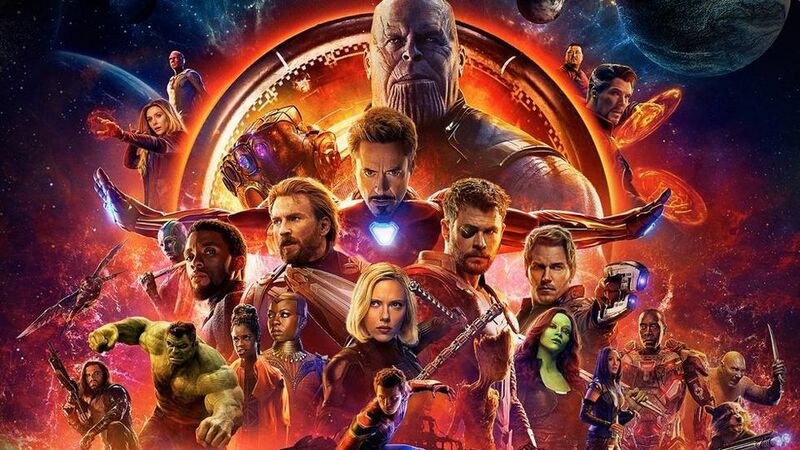 Ant-Man and the Wasp was said to be the most important movie to watch before seeing Avengers: Annihilation, but aside from two killer post-credits scenes, one might not pick up the movie’s importance to the Marvel Cinematic Universe’s definitive chapter on an initial viewing. Rumors strongly indicate that the Quantum Realm’s time vortexes, along with several concepts hinted at with the Quantum Realm itself, will heavily factor into the story of how the Avengers fix a shattered reality. If that’s the case, then it only makes sense that the characters who survived Thanos all have matching gear; not only does it emphasize their functionality as a team, but it also serves a greater purpose within the narrative. The image purportedly leaked out through Paltrow’s Instagram, but is now floating around online now. How small or large Paltrow’s turn to superheroics will be is certainly something that should be of interest to see, and with the first trailer likely to drop sometime next month, we likely won’t have too long to wait before we get a glimpse of her in action.